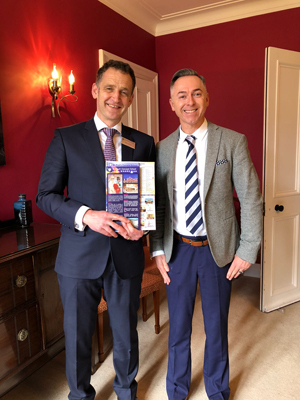 The mission of our staff development is to enhance the professional competence of our staff and to provide a variety of programmes to support them to become proactive and life-long learners. 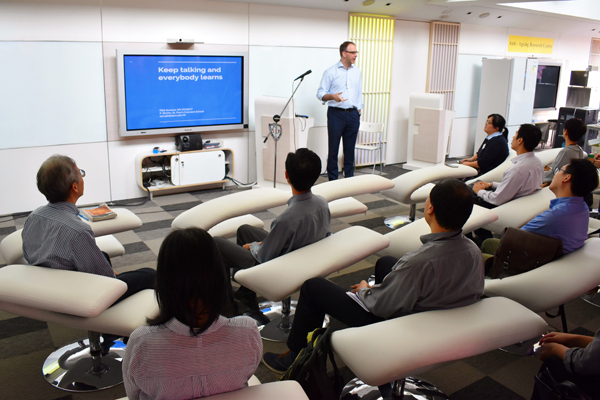 PDS Seminar 10 on the “Classroom Observation of VR Application in Teaching Geography” was held on Friday, 29 June 2018 from 11:00 a.m. to 12:00 noon at Queen’s College. 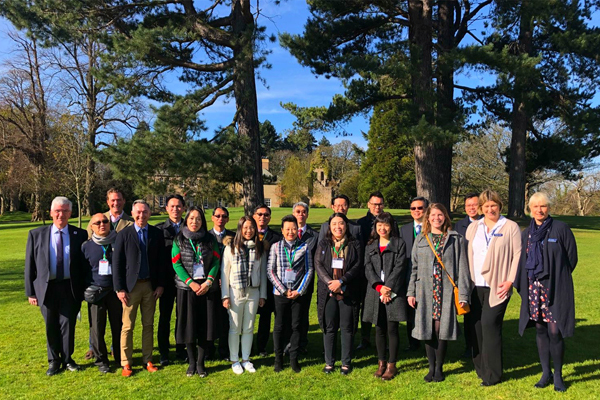 Seven participants attended the seminar - three teachers from Queen’s College, two teachers from Marymount Secondary School, one representative from the EDB and one staff member from SPCS. 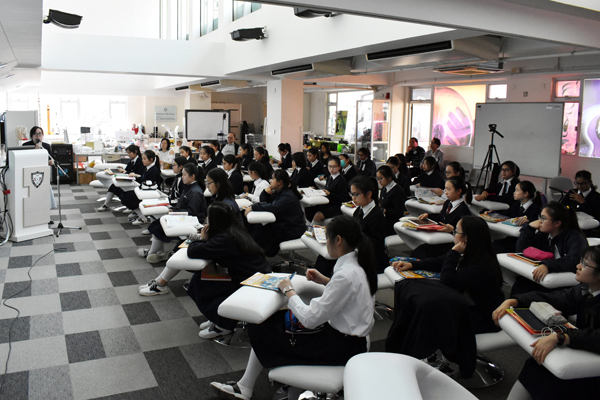 Mr. Szeto Chin Wai, the geography teacher of Queen’s College, taught a class of Form 2 students all about ‘the Vegetation of Borneo’. 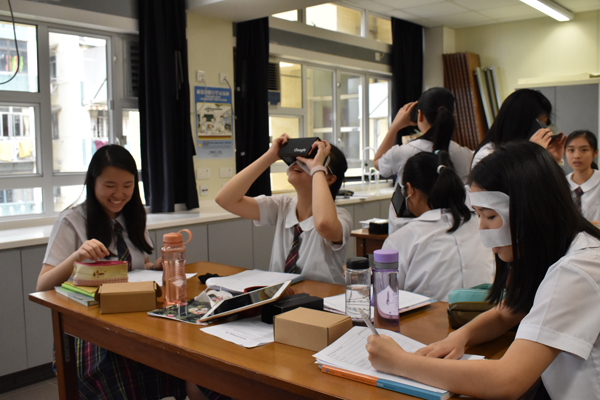 Using VR from “Google Expedition” to explore the characteristics of vegetation in Borneo, he took the students through the rainforest and they were amazed that they could examine the details of vegetation through close observation of the photos on the app. Regrettably, the first part of the lesson was slightly delayed by a failure in the wifi connection. Time was given to the students to explore and share their results, they did some worksheets in groups and they then had a discussion. The teacher used questioning to lead the discussion and, overall, most of the lesson was teacher-centred. 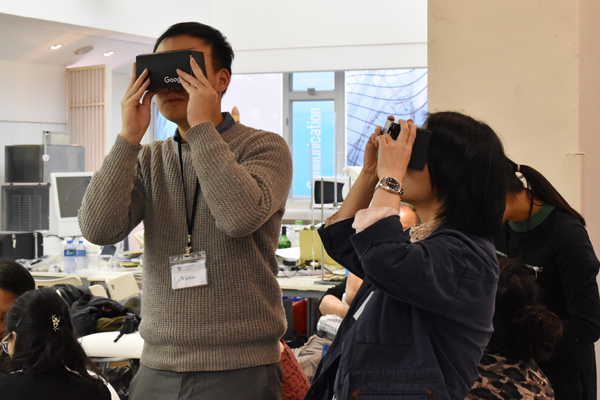 In the plenary session, the participating teachers were all agreed that the VR was well worth using. 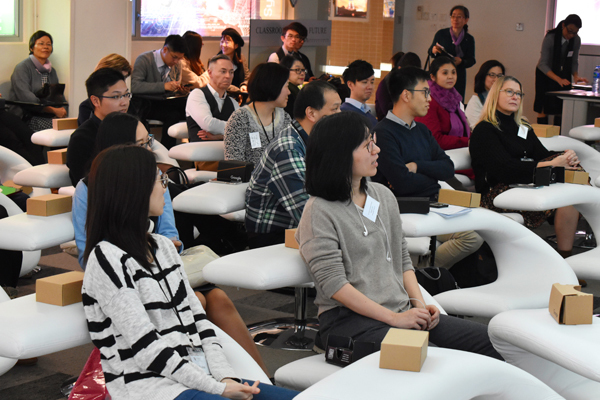 It gave greater scope for interactive teaching, and the students showed great interest in the immersive environment. On the other hand it was seen that the teacher had to spend much more time in lesson preparation, although it was understood that such a problem could be overcome with a greater experience of the technology. Sessions with teaching colleagues, such as PDS sessions, could help lessen the burden of preparation work. At present, technical support and access to an uninterrupted wifi connection was also seen to be crucial to delivering any lesson smoothly. 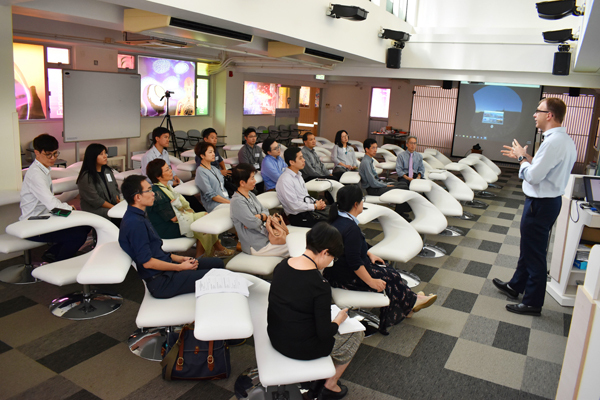 PDS Seminar 9 on the “Classroom Observation of VR Application in Teaching Biology” was held on Thursday, 24 May 2018 from 2:40 a.m. - 4:00 p.m. at Marymount Secondary School. 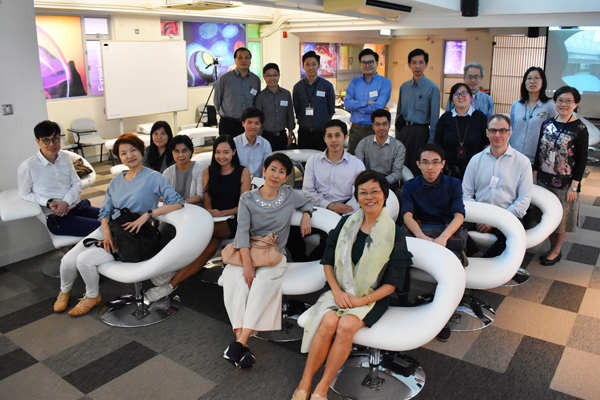 Eight participants attended the seminar - one teacher from PHC Wing Kwong College, one teacher from Queen’s College, three teachers from Marymount Secondary School, one representative from the EDB and two staff members from SPCS. 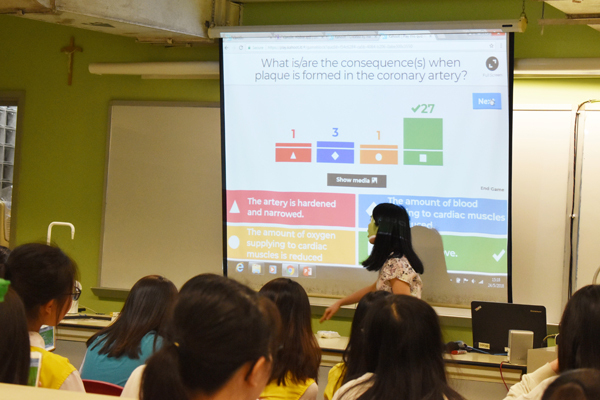 Ms. Jane Chung, the Biology teacher of Marymount Secondary School, demonstrated how to teach the topic of ‘Cardiovascular disease’ to a class of Form 3 students. 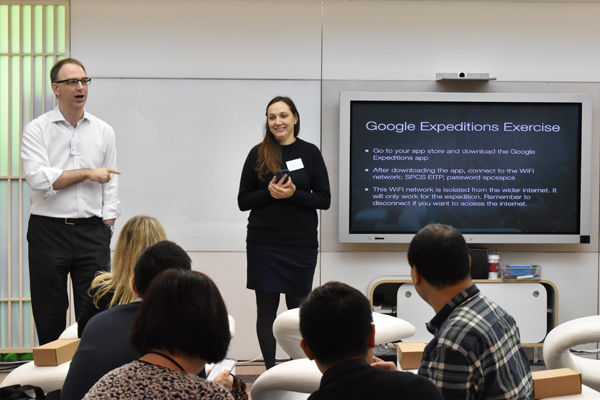 She used a combination of ‘Kahoot’ and VR from “Google Expedition’ to conduct the interactive lesson. 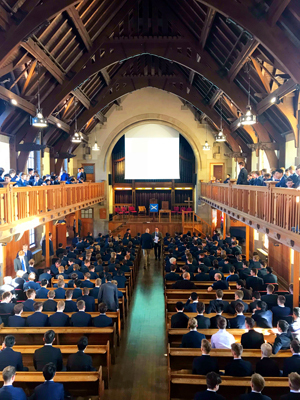 Students were highly excited about exploring the anatomy of the heart through the medium of VR, and as she journeyed through the organ, with words on the VR supplementing her lecture, the students could not help but actually feel the movement and processes of the heart. The teacher then bombarded the class with systematic questioning, and the students quickly sought answers from within the VR programme. 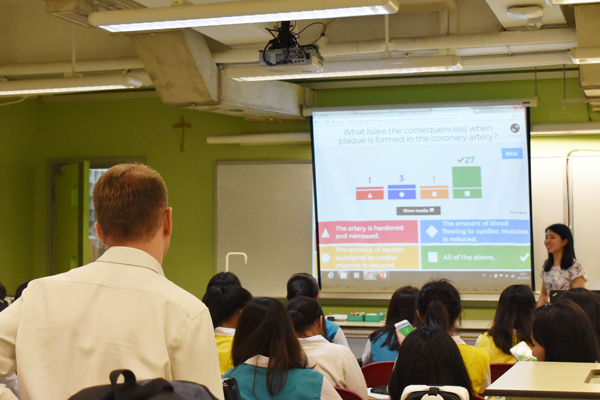 Moving on from this the students then actively engaged in a Kahoot-based online quiz platform which further tested their understanding and knowledge. Individual scores were tabulated and the teacher took the opportunity to debrief them all on the nature of the questions, the best answers and how to avoid common errors. 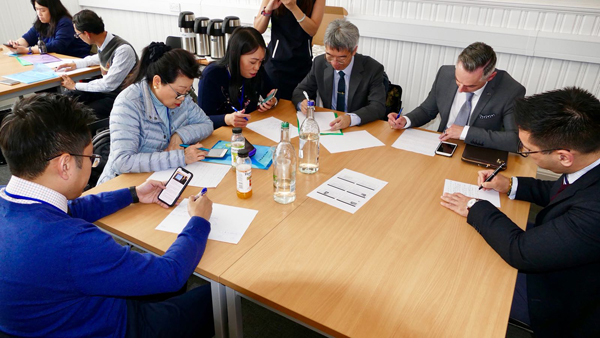 In the plenary session, the participating teachers all agreed that the lesson was well conducted and that the learning outcome could readily be seen. They reflected, however, on the fact that lesson preparation time was considerable. The use of Google VR and Kahoot definitely brought a sense of drive and achievement to the classroom. 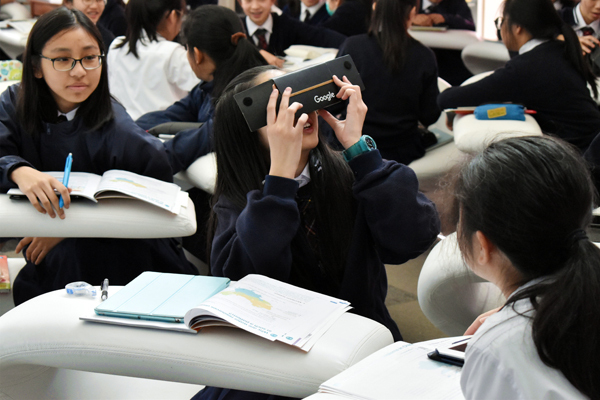 Students were clearly amazed by the VR images taking them to previously inaccessible parts of the body, and they could easily visualize the complex processes that were at work. 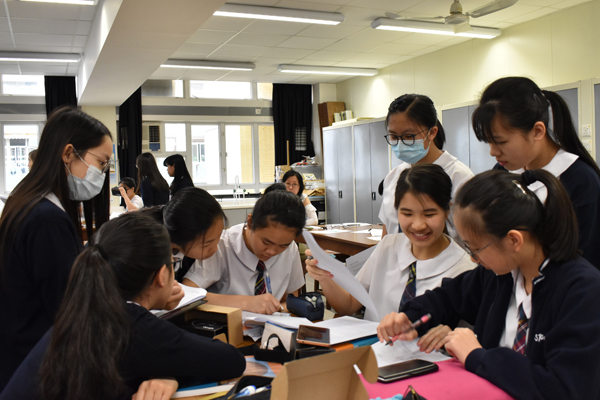 Though the lesson was still teacher-centered, and the success of the lesson depended much on the teacher’s questioning skill, students were nevertheless totally engaged in the learning process. 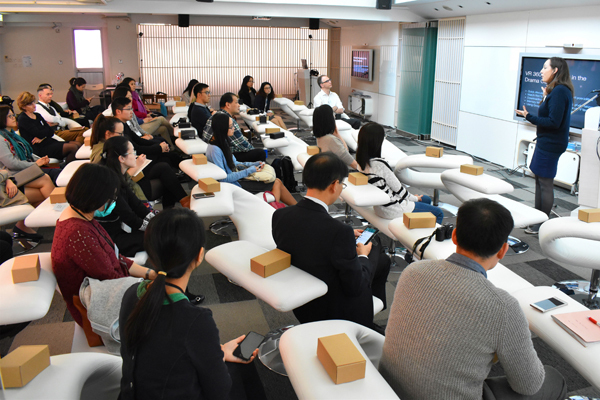 One other interesting point to be made is that after the seminar was officially over, many teachers continued to discuss the use of the technology. This is an indication that more motivated teachers can see the value of embracing new technological developments in the classroom, such as Kahoot and VR apps. 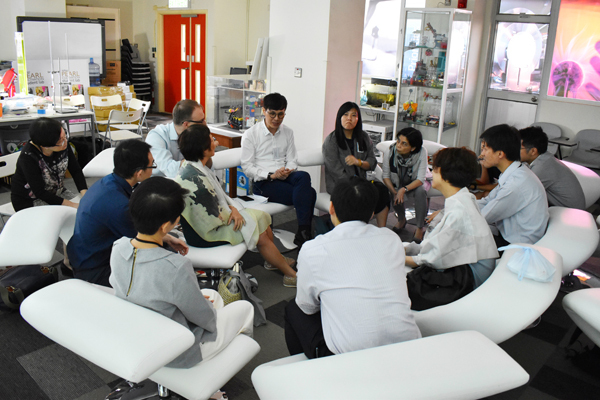 It seems clear that the PDS collaboration work, with teachers from different schools, is proving to be an effective platform for future exchange and in the evolution of new teaching and learning techniques. 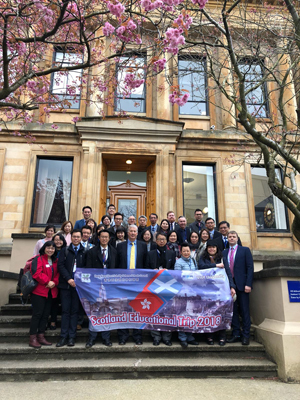 From April 28th - May 5th 2018 Mr. Maxwell represented St. Paul’s Convent School and joined 32 other senior teachers and Principals on the DSSSC Educational Tour to Scotland. 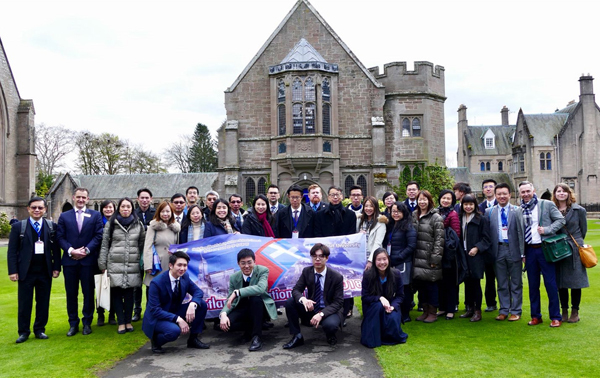 The aim of this tour was to gain an understanding of the unique Scottish education system through visiting schools and the University of Edinburgh, School of Education. 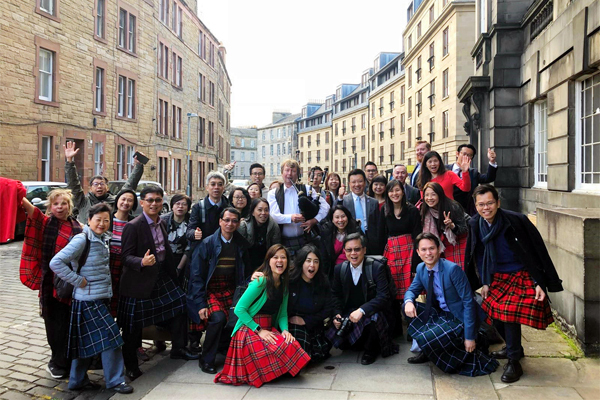 Scotland is a country which has historically been recognized as preeminent in the field of education. 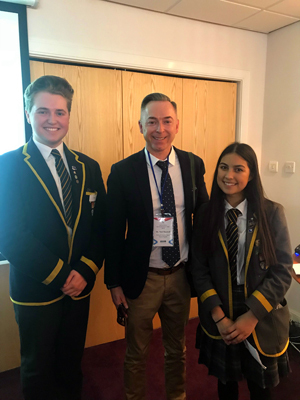 The values of universality, opportunity for all and equality of outcome are at the very core of the Scottish education system. 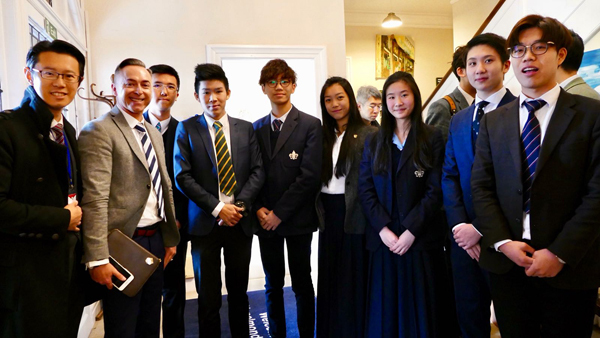 During the week the group visited a variety of high-achieving schools throughout the country to observe and learn about the key practices employed by these various institutions. 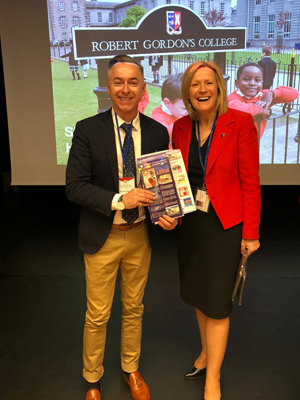 They were able to observe lessons, attend staff meetings and assemblies and gain an insight into school leadership, curriculum design and innovation. Mr. Maxwell met with various students, teachers and principals. 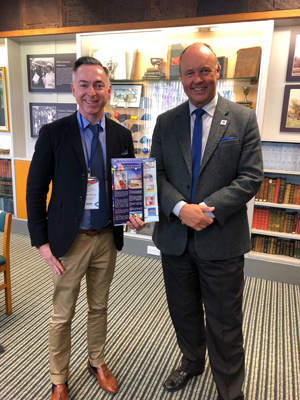 The highlight of the tour was meeting the Principal of the University of Edinburgh, Professor Peter Mathieson. 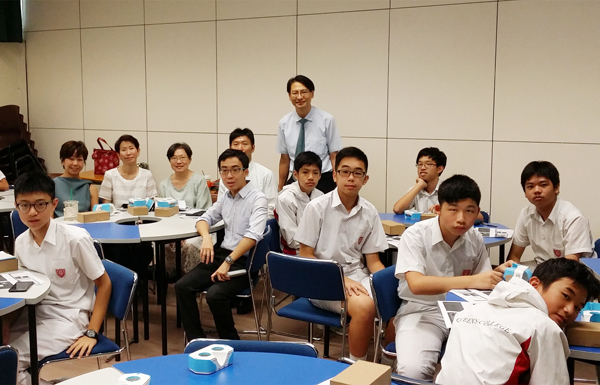 PDS Seminar 8 on the “Classroom Observation of VR Application in Teaching Physics” was held on Thursday, 12 April 2018 from 10:40 a.m. - 12:30 p.m. at St. Paul’s Convent School. 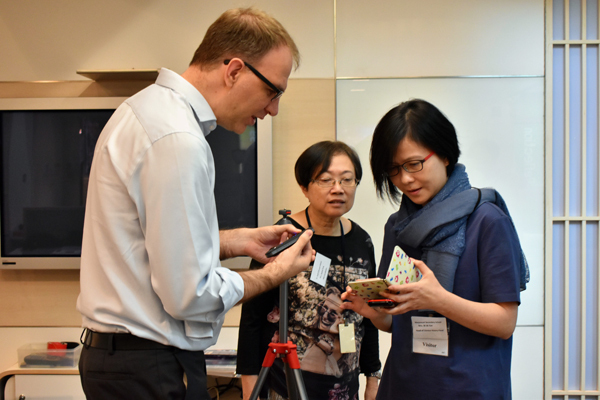 Ten participants attended the seminar - three teachers from PHC Wing Kwong College, Two teachers from Marymount Secondary School and five staff members from SPCS. 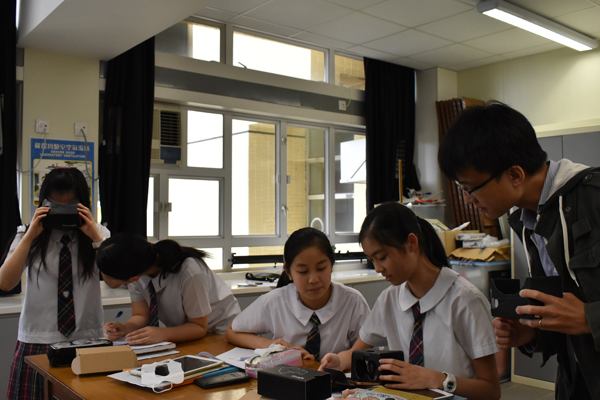 The topic of the lesson was ‘Sources of energy’ and was taught by the SPCS Physics teacher Mr. Peter Blythe. 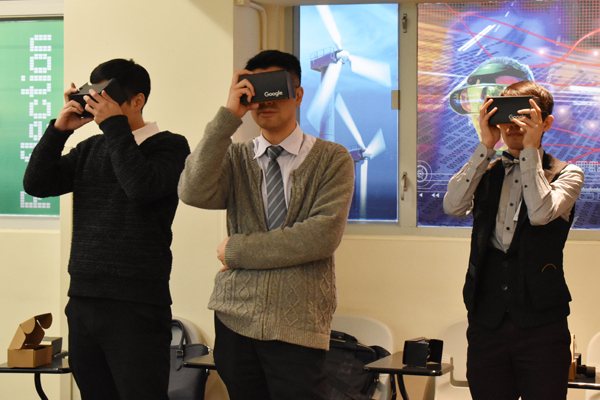 Students were divided into pairs and were asked to search VR apps on various ‘Forms of Energy’ from Google Expedition and StreetView in order to investigate the various aspects of renewability, reliability, costs, space, availability and energy transfer etc. They had to assess the advantages and disadvantages of using each type of energy source. The students then had to work on two scenarios comparing the advantages and disadvantages of fossil fuels and nuclear energy for Australia’s power needs, and the advantages and disadvantages of solar photovoltaic and solar thermal energy for Romania’s power needs. They had to fill in the worksheets and make recommendations. 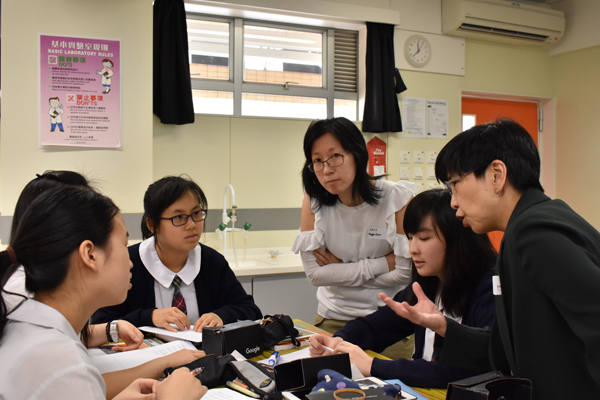 Finally, the students had to propose a plan for Hong Kong’s energy future after evaluating all the energy sources they had researched. They needed to specify why their plan was a good option for Hong Kong in particular and where any energy facilities should be built. They were asked to provide a StreetView link to mark the location. After the lesson, the participating teachers were given an opportunity to share their views on the interactive VR approach. 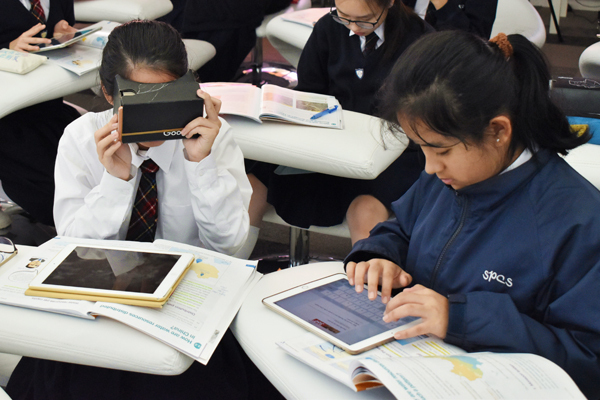 They were impressed by the responsiveness of the students in the lesson and agreed that students could engage in self-discovery using the VR apps. Besides, they noticed how the students had to think from multiple perspectives before arriving at a decision. The discussion was highly focused and dynamic. 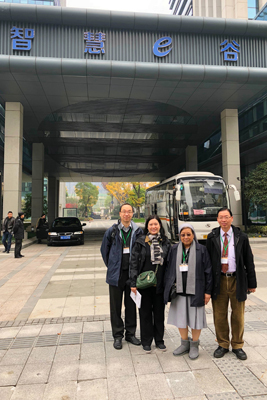 The teachers concluded that VR technology had brought new life and extra dimensions to interactive teaching in the classroom and that therefore it was worthwhile for teachers to put more effort into revising lesson plans and designing new worksheets for such a new initiative. Collaborative efforts with teachers from different schools could be a good option. 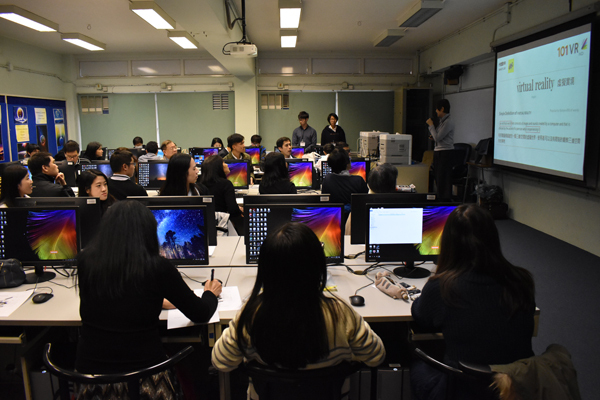 PDS Seminar 7 on the “Classroom Observation of VR Application in Teaching at PHC Wing Kwong College” was held on Wednesday, 21 March 2018, from 11:25 a.m. - 12:35 p.m. at PHC Wing Kwong College. 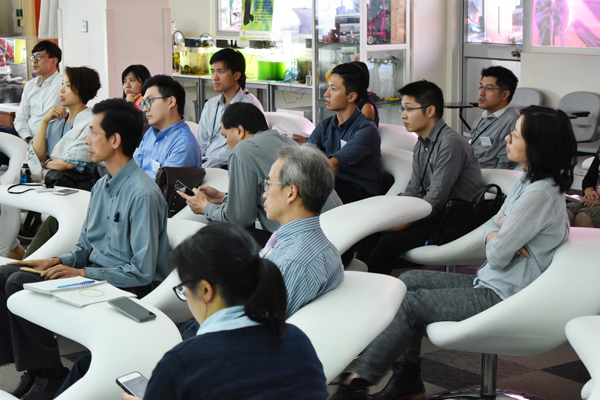 Seven participants attended the seminar, four teachers from PHC Wing Kwong College, one representative from EDB and two staff members from SPCS. 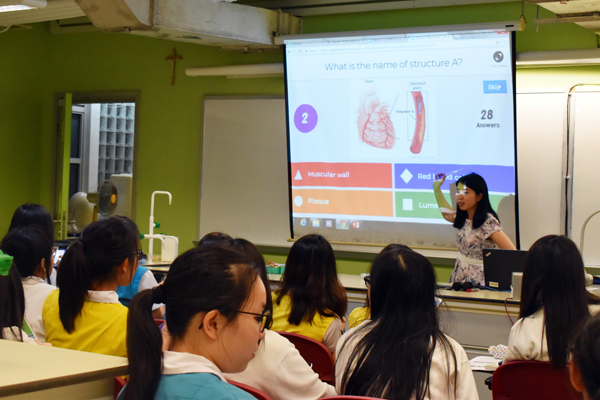 Mr. Lee Man Ho, the Geography teacher of PHC Wing Kwong College, demonstrated the process of using an interactive approach with updated technology to teach a geography lesson. He wanted to compare and understand the vegetation found in tropical rainforests with that found in tropical desert lands. A group of 30 students were divided into 6 groups of 5 students. 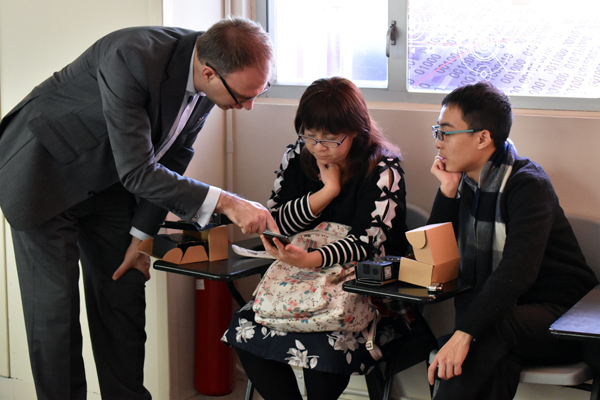 Each group was given a tablet, an iPad and two sets of VR viewers. The first part of the lesson was to compare the characteristics of the climates of the Amazonian rainforest and the Moroccan desert. In each group, three students used the iPad to search for the ‘Google Street View’ of an area, while the other two students recorded the characteristics of the vegetation and climate of the different places. Then students were asked to observe and explore further into the characteristics of the vegetation of the rainforest including the type of roots, shapes of leaves and the straightness of tree trunks etc. The students then had to find reasons to explain the characteristics they had observed. Finally, students had to use the ‘Google classroom’ to upload a photo of the vegetation of the rainforest from the web and explain how the vegetation had adjusted to local climate. The lesson was well planned and the flow of the teaching process was smooth. The students were very focused and all the tasks were completed on time. 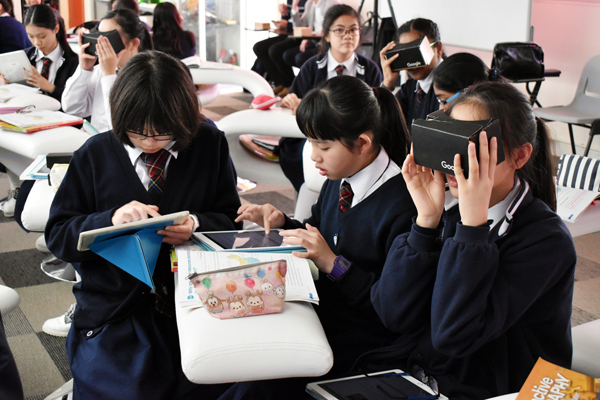 VR had not just drawn the students closer to reality, a reality that they would not normally have access to, but also allowed them room to discover things for themselves. 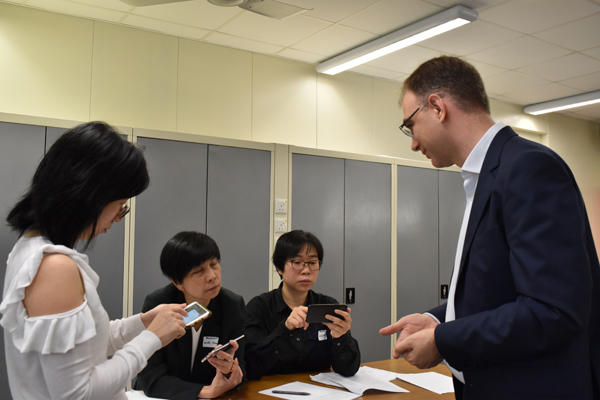 PDS Seminar 6 on the “VR /AR Application in Teaching Integrated Science & Mathematics” was held on Thursday, 8 March, 2018, from 3:45 p.m.- 5:15 p.m. at St. Paul’s Convent School. 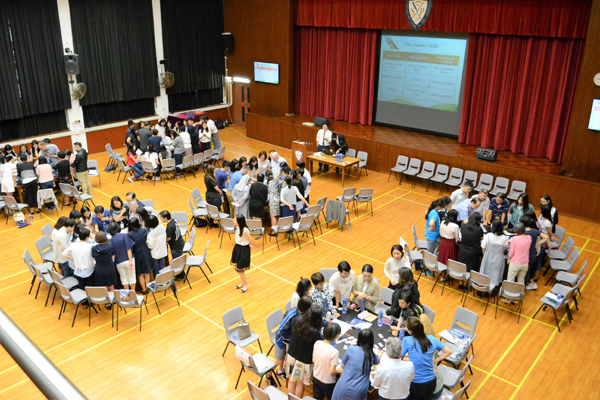 Forty seven participants attended the seminar; four teachers from PHC Wing Kwong College, eight teachers from Queen’s College, eight teachers from Marymount Secondary School and twenty-seven staff members from SPCS. 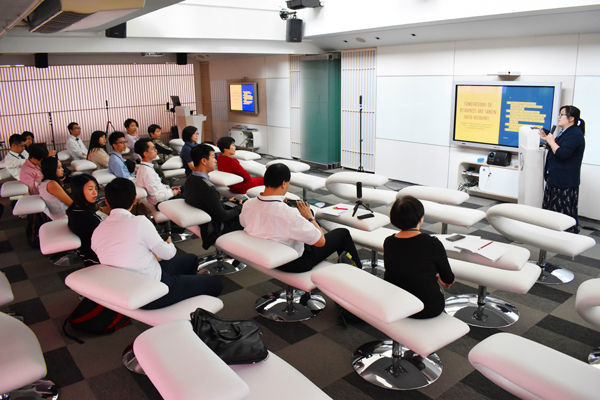 NetDragon, a service provider of VR/AR technology, was invited to provide the guest speakers. 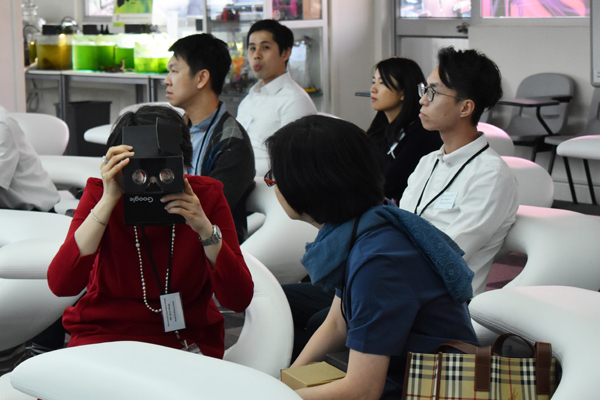 Besides showing how to operate the VR/AR Editor, teachers were given access to a free VR sample in order to taste the experience. They were then taught how to operate the system. 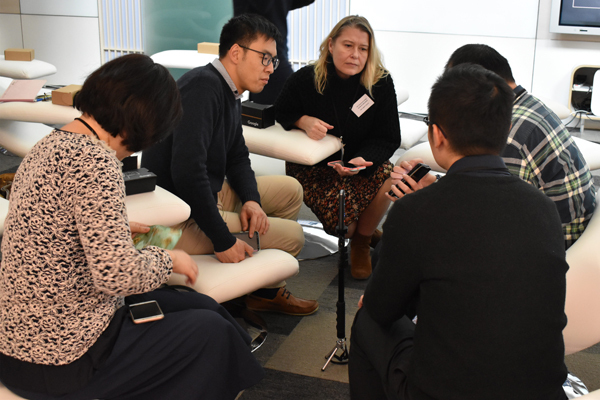 In their feedback discussion, teachers suggested some types of topics in the curriculum they hoped to have VR tools developed for. These centered mainly on the desire for tools to explain more difficult concepts using enhanced visualization. 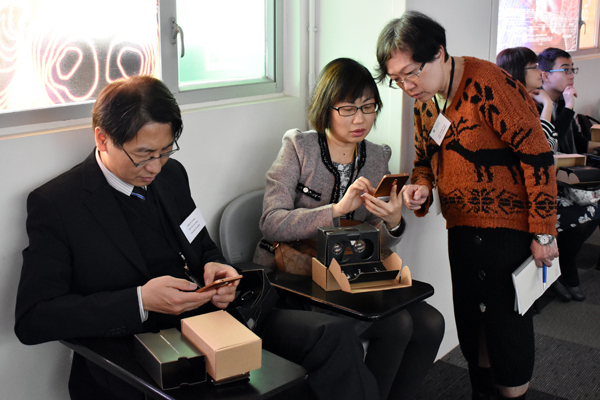 PDS Seminar 5 on the “VR /AR Application in Teaching Chinese Language & Literature and Chinese History” was held on Tuesday, 6 March, 2018, from 3:45 - 5:15 p.m. at St. Paul’s Convent School. 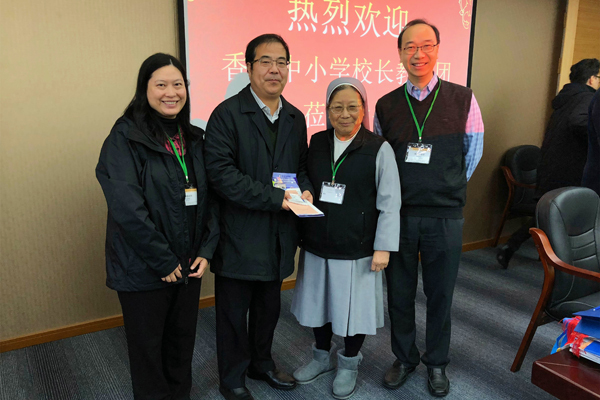 Nineteen participants attended the seminar, five teachers from PHC Wing Kwong College, five teachers from Queen’s College, 4 teachers from Marymount Secondary School and five staff members from SPCS. 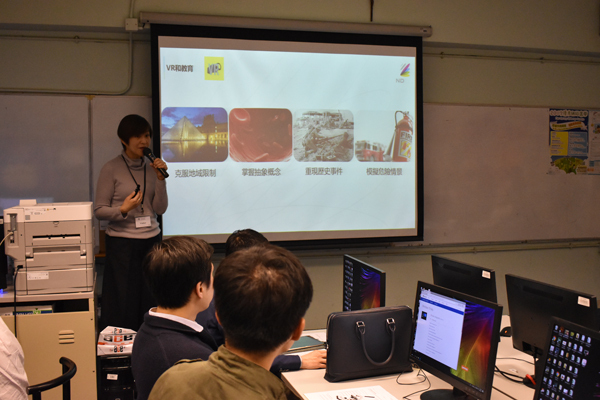 The NetDragon, a service provider of VR/AR technology, was invited to demonstrate how to use the technological tool of VR/AR editor to get access to a common platform for learning and sharing of information. 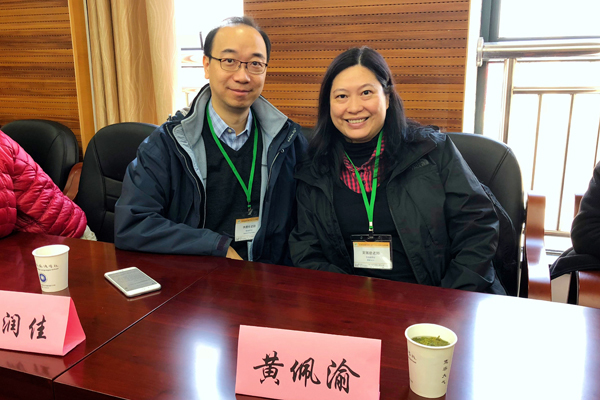 In teaching Chinese Language and Literature, they are useful in providing an immersive experience to students especially for brainstorming ideas in creative writing. They are valuable to overcome the limits of distance as they are able to show things that are relatively difficult to reach or inaccessible. They can bring students to relive in a past situation in history. Moreover, practical skills can be trained by simulation such as in driving and other risk avoidance instructional workshops. 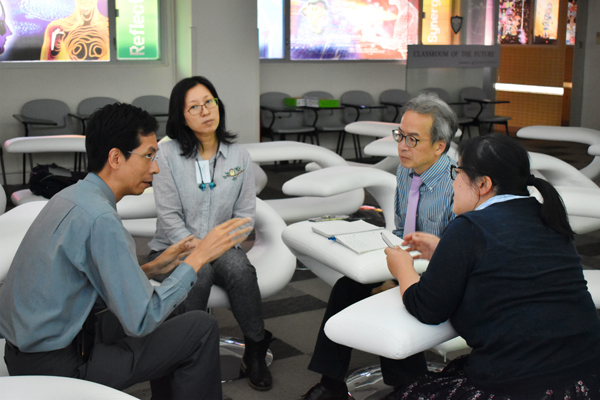 In their feedback discussion, teachers indicated that they needed more practice in familiarizing with the tool and supply of software. 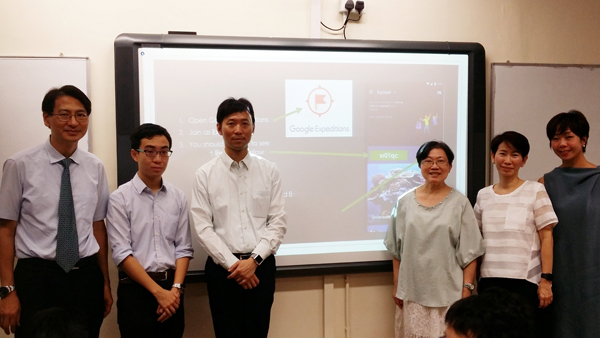 PDS Seminar 4 on the “Classroom Observation of VR Application in Teaching Geography” was held on Monday, 22 January, 2018, from 2:00 - 5:00 p.m. at St. Paul’s Convent School. 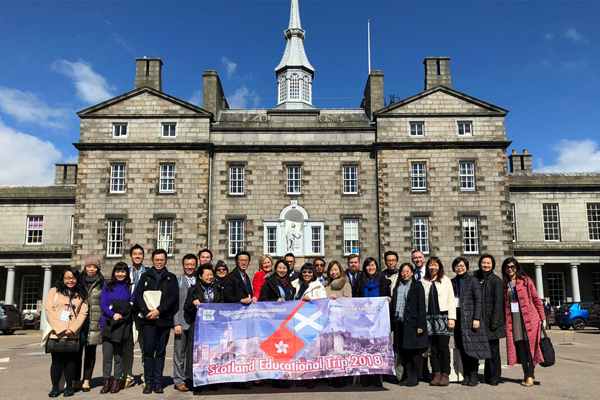 Fourteen participants attended the seminar, three teachers from PHC Wing Kwong College, five teachers from Queen’s College, one representative from the EDB and five staff members from SPCS. 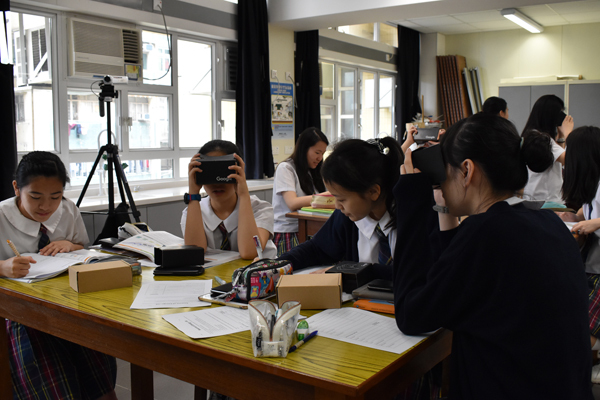 Ms. Jennifer Au, the SPCS Geography teacher, demonstrated how to teach a geography lesson, based on the problem of water distribution in China, for 40 students using updated VR technology. 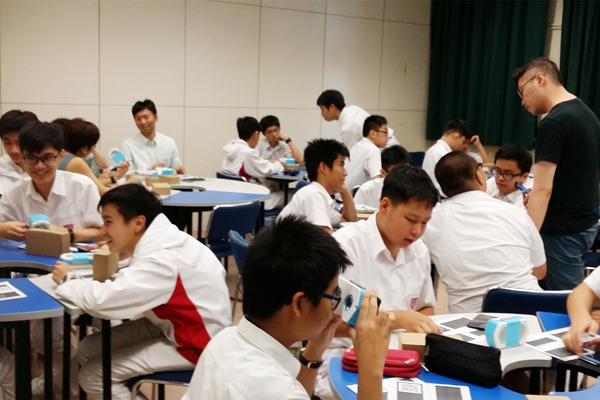 The class was divided into 20 pairs, and each pair was provided with a cardboard viewer and a mobile phone. 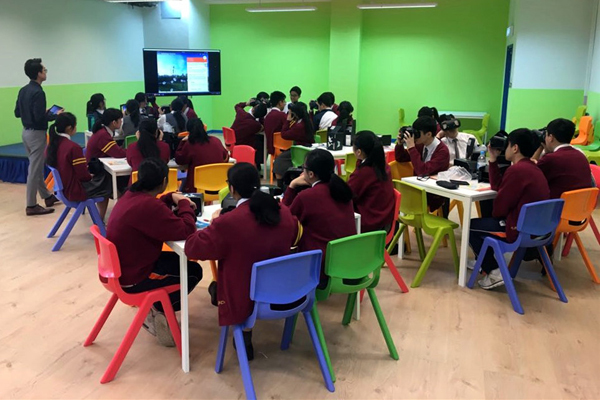 They learned how to view photos from around the world by searching “Visual Lab”, and then they found out how to focus more on the specific topic of China’s water supply by searching the app: “Street View”. They then went further by exploring in greater detail the impact of the problem by searching “YouTube”. Finally they rounded off their research by looking at the app: “Google Earth Expedition”. 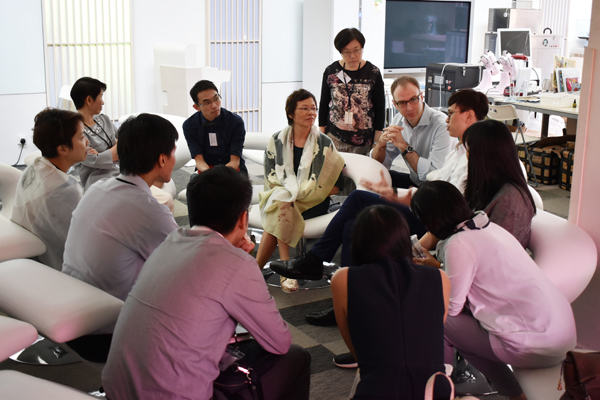 The process of the approach was interactive, immersive and stimulating. Students were guided to explore the issues at the start, but were then given autonomy to explore more themselves, being encouraged to take ‘ownership’ of their work. Worksheets were specially designed to help students sum up their experience at the end. 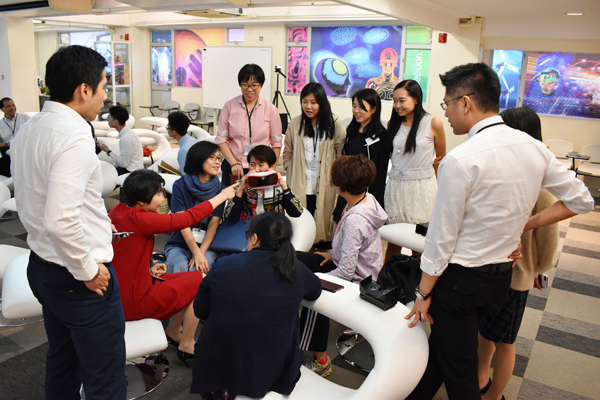 After the lesson, the teachers were taught some general skills in how to operate the VR teaching tool, and they were also given the opportunity to share their views on the interactive VR approach that they had just witnessed. 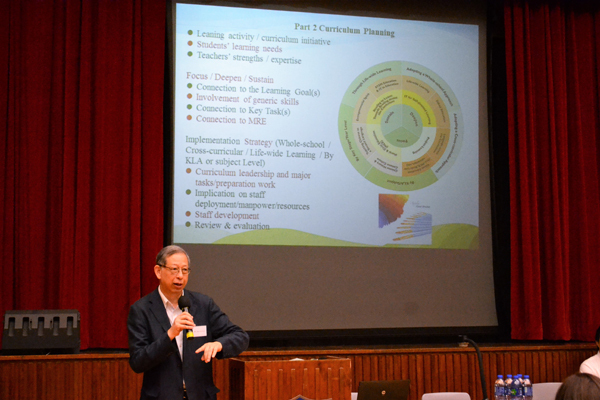 The planning and implementation requirements of the whole teaching process were also made clear to all the teachers. 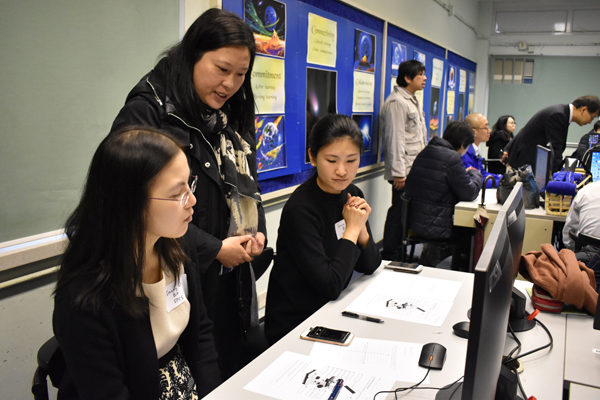 In their feedback, most teachers indicated that they had enjoyed the lesson and had learned something new about the new teaching pedagogy based on VR technology. 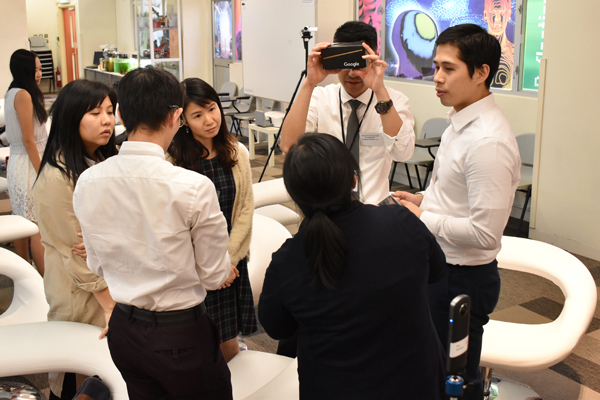 They appreciated that VR apps can really bring a new immersive experience into teaching and learning, though they admitted that they still needed more training and practice in how to use the technology. They witnessed how students could follow the instructions easily and reacted promptly to both teacher instructions and technology stimulus. At the end of the lesson the students were able to present their views in a coherent and proper way. The teachers all agreed also that the app “Google Classroom” was successful in facilitating brainstorming among students. 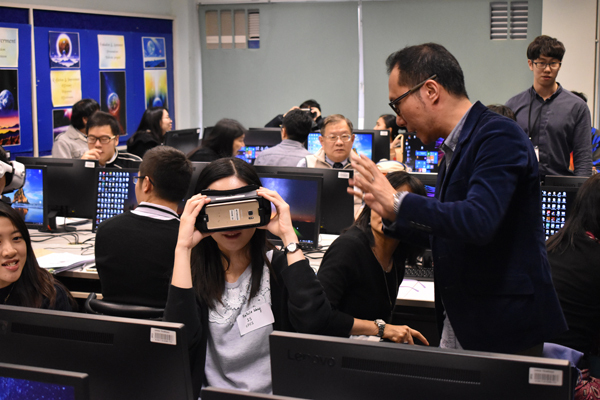 The overall conclusion was that the use of VR is a new mode of teaching and learning that can enhance both teaching and learning opportunities. As such it is therefore worthwhile for both teachers and students to have knowledge of the capabilities of VR. 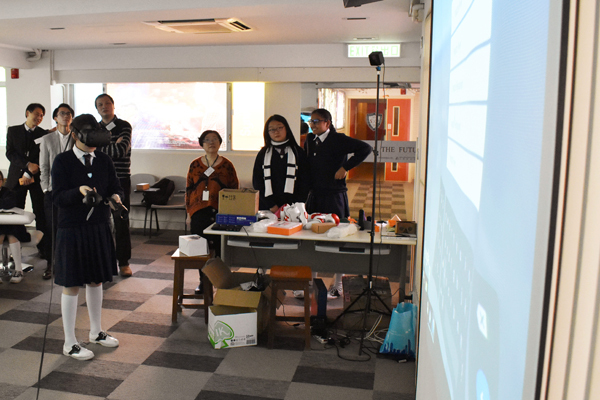 PDS Seminar 3 on “VR Application in English Drama Teaching” was held on Tuesday, 12th December, 2017, from 4:00 - 5:30 p.m. at St. Paul’s Convent School. 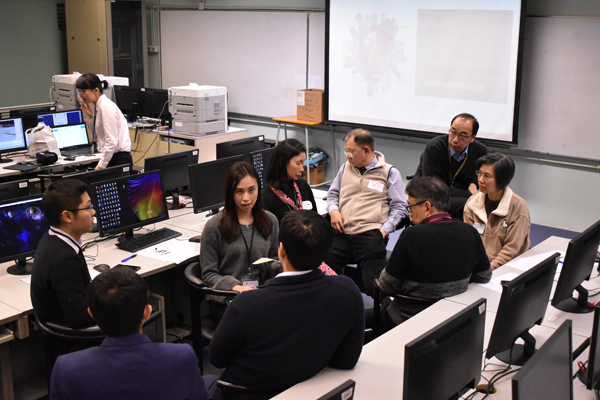 Forty-three participants attended the seminar, including eight teachers from Marymount Secondary School, five teachers from PHC Wing Kwong College, seven teachers from Queen’s College, three representatives fron EDB and twenty staff members from our school. Ms. Christy Shapiro, the Drama teacher of our school, revealed the many possibilities of VR application in her teaching of English Drama. 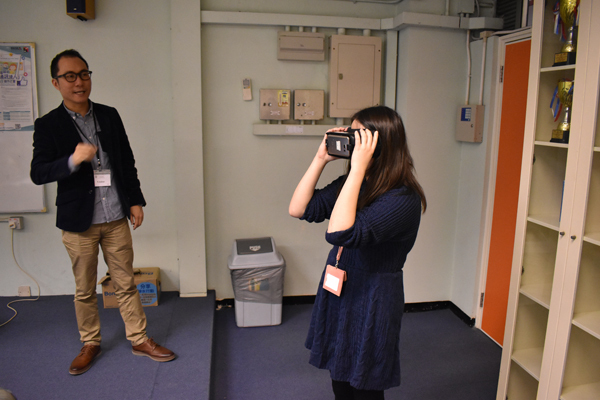 She guided the audience in using the gear and technology available in a classroom application by exploring RSC's VR 360 Theatrical Experience online. Every participant was provided with a headset and allowed to interface with the technology at his or her own pace. They were fascinated by the immersive feeling in the process of exploration. She then continued to introduce another learning tool “The Memory Trick using Loci” for generic study skill training. Finally, she demonstrated how to use Google in English lessons. 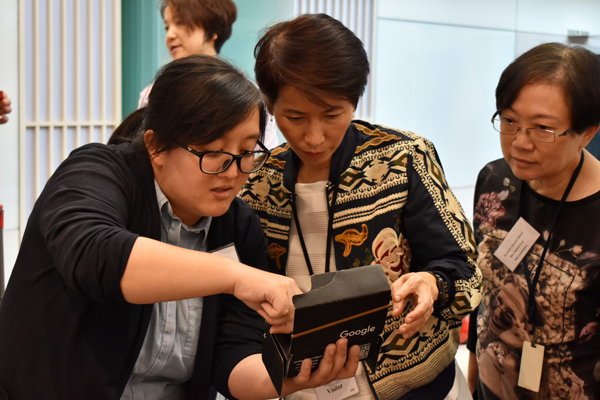 Most teachers showed remarkable interest and were thrilled about using the VR apps. Though to some, as it might be the first time they learned to use these tools, they will need more exposure and practice before they can use the new technology in the classroom. PDS Seminar 2 on “VR Integration in the Classroom” was held on Tuesday, 31st October, 2017, from 4:00 - 5:30 p.m. at St. Paul’s Convent School. 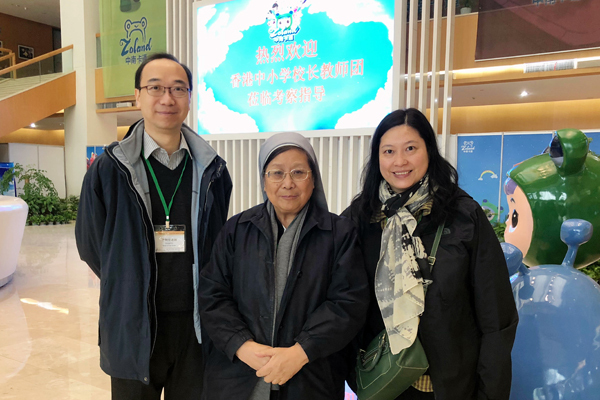 Nineteen participants attended the seminar, including twelve teachers from Marymount Secondary School, four teachers from PHC Wing Kwong College, and three staff members from our school. 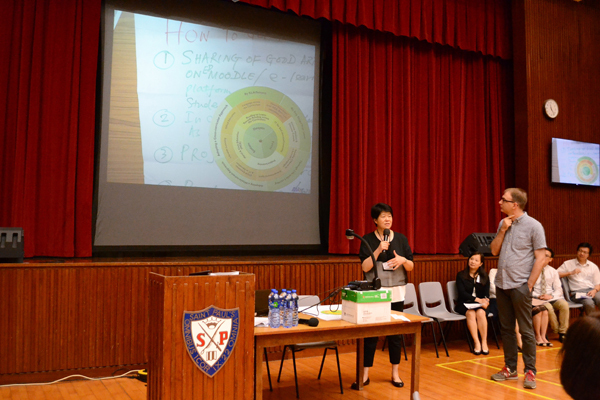 Ms. Jennifer Au shared her experience in using VR to enhance teaching effectiveness in class. She found that the new technology was helpful in creating a new mode of learning for students, but although the VR experience was powerful it didn’t always last long. It would fade quickly, and teachers had to be aware that they had to plan their lessons imaginatively with accountability. 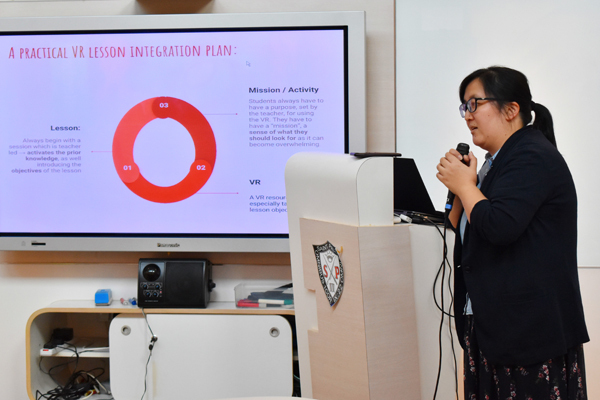 She then highlighted the steps in making a practical VR lesson integration plan which should include a lecture, VR experience of less than 10 minutes, worksheets and summarization of the whole lesson. 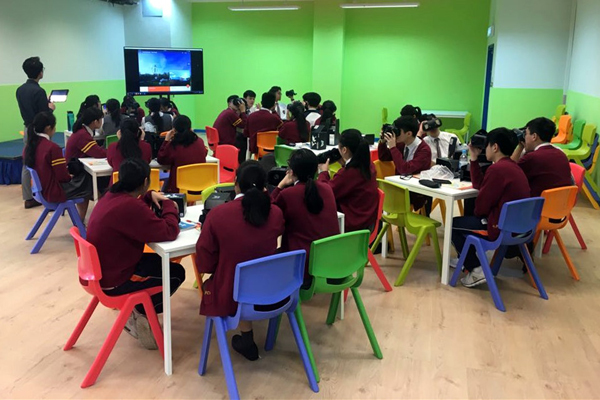 The choice of VR in relation to the topic taught was important to stimulate learning and the worksheets should be planned carefully to facilitate students’ interaction and reflection. She went on to give a demonstration of how to use a 3600 camera. The teachers were divided into groups to explore ways to handle the camera. All teachers showed interest and were excited about the camera. They wanted to find out the possibilities for making videos in the various subjects they taught. 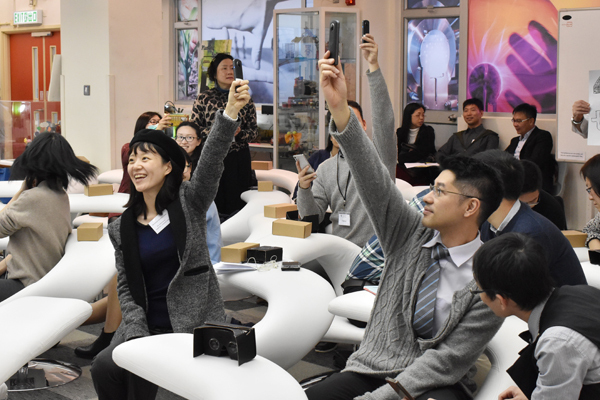 Everyone agreed that the seminar was very useful and practical as they learned how to use a new tool - the 360 camera- and also learned to set realistic expectations on the use of VR in lessons. 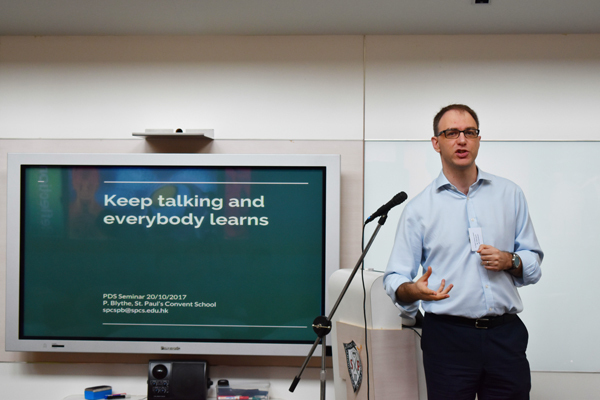 PDS Seminar 1 on “VR: A Tool for Improving Skills in Problem-solving and Communication in the Classroom” was held on Friday, 20th October, 2017, from 4:00 - 5:30 p.m. at St. Paul’s Convent School. 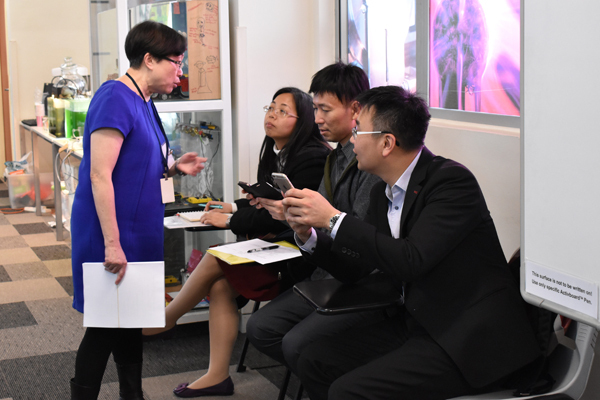 Twenty-two participants attended the seminar, including eleven teachers from Marymount Secondary School, four teachers from PHC Wing Kwong College, and seven staff members from our school. 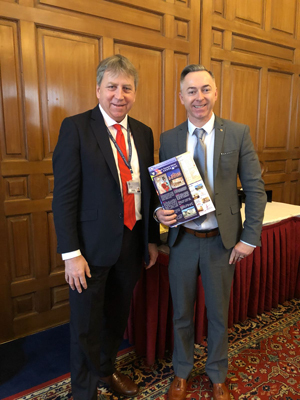 Mr. Peter Blythe gave a presentation on how to enhance students’ generic skills in communication, logical problem-solving and teamwork through the use of game-based learning which motivated student learning with fun. He then demonstrated VR application of a game in the classroom as an experiential learning. Students were divided into groups of 4-6and they worked together to diffuse a bomb by following the problem-solving procedures. The goal was to develop concise and precise communication. Results showed that after successive rounds of the game, students were able to develop new communication and teamwork strategies while they were finding out solutions. Through discussion and reflections, students would think about application in other contexts and this process would hopefully lead to the transfer of learning. Some teachers found that the transfer of learning could not be easy for them to achieve in teaching different subjects. They hoped that further exploration could be done in specific subjects. Some teachers captured the idea and they would make attempts to use the game in teaching their students. Generally speaking, teachers considered that they were challenged when an interactive approach was offered. They were encouraged to try out in their school and shared the results later with the group. 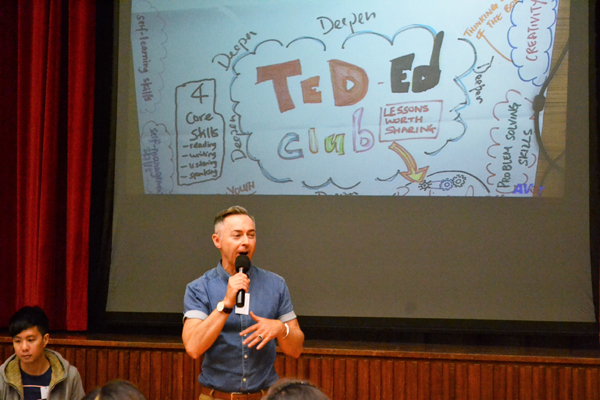 On Monday, 28 August, 2017, St Paul’s Convent School staff assembled in the main hall for their Staff Development Day. 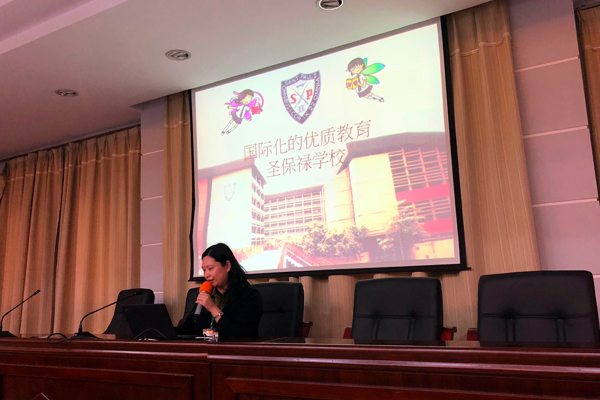 The Staff Development Day was jointly organized by SPCS, and the Education Bureau, and focused on the “Whole school curriculum planning with reference to the Secondary Education Curriculum Guide”. 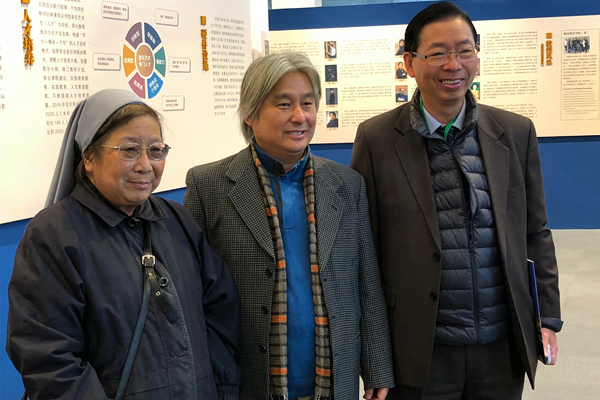 We were joined by curriculum experts from the EDB Curriculum Development Institute: Mr. Sheridan Lee (Principal Assistant Secretary), Ms. Janice Tai (Senior Curriculum Development Officer), Mr. Henry Lin (Senior Curriculum Development Officer) and Mr. Pablo Hon (Curriculum Development Officer). 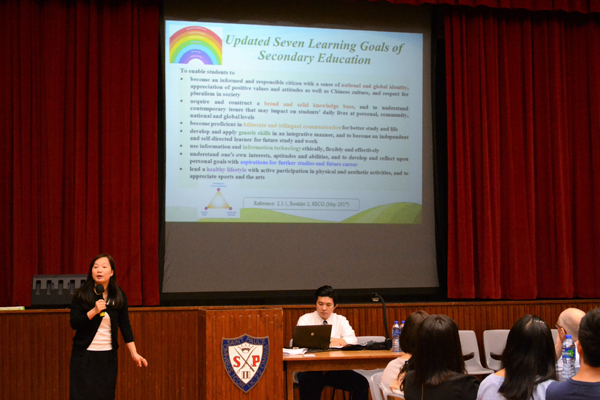 The meeting began with an initial briefing on some of the major educational changes already happening in SPCS. 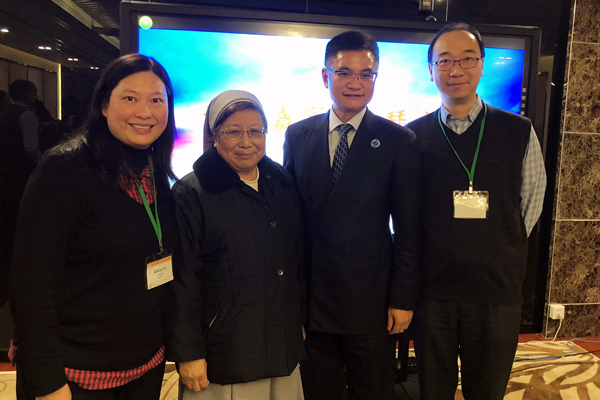 These included the updated seven components of a healthy curriculum, namely; national and global identity, breadth of knowledge, language proficiency, generic skills, information literacy, life planning and healthy lifestyle. 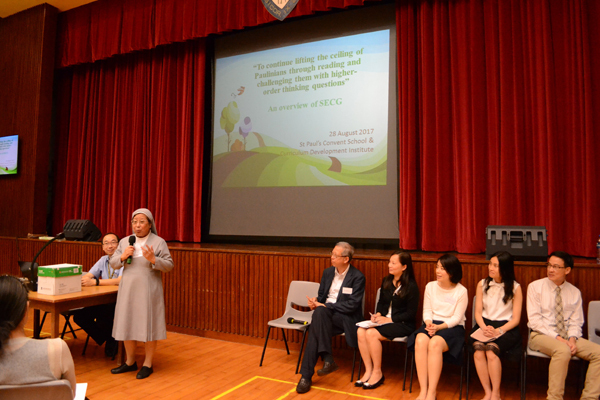 It was noted that SPCS was already delivering on this with its ‘multiple pathways’ programme and Diversified Interests Programme (DIP). 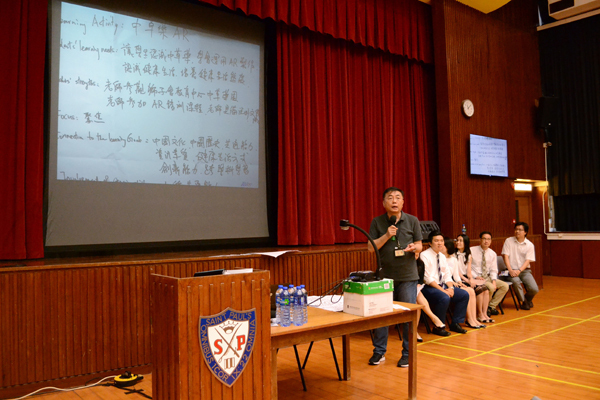 These platforms supplemented the major academic courses, such as HKDSE, iGCSE, and GCE, with VPET and BTEC courses, a wide range of clubs and societies, the STEM (EITP and ITE) programme, IT for self-directed learning ,Language Across the Curriculum (LaC) , Life-wide learning, Chinese as a second language, Chinese culture and history lessons, Harmony Scholarships, Entrepreneurship, and Basic Law Education. 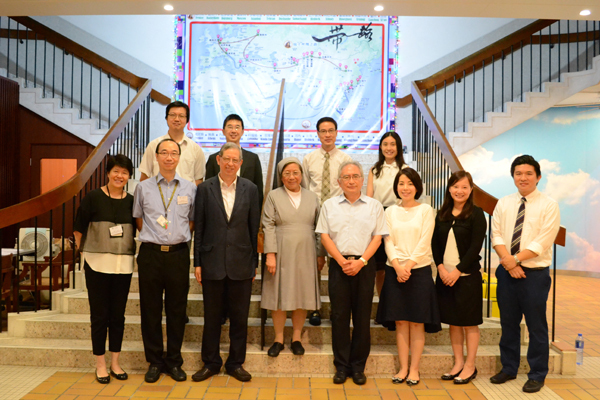 The meeting was then given over to colleagues from the Curriculum Development Institute. 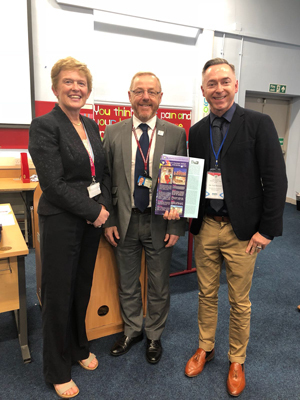 In a very informative session they highlighted the importance of getting students to read more widely and asking higher–order level questions to elicit more advanced thinking. 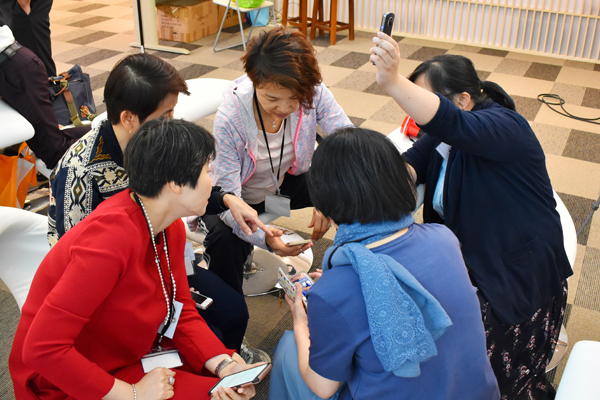 They divided the staff into six groups to discuss how they might further promote the updated ‘healthy curriculum’ criteria that had been presented to them that morning. 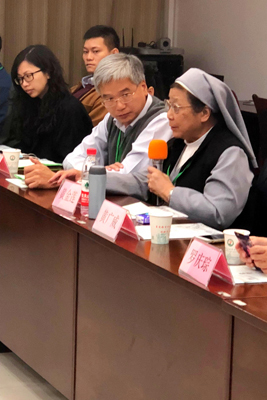 For example, the Chinese panel focused on Chinese herbal medicine using AR technology and by promoting entrepreneurship, the English panel focused on the implementation of ‘TED’ Talks and the Science panel promoted STEM education. All the suggestions were geared to getting the students to engage more actively in their own learning and to read more widely.